A New Town - Clairmont, Texas is home to some of the South's most wealthy and established families. When Emily Page and her husband Mike move there from New York City, so Mike can become the new sheriff, they believe that it's a place where they can build a new life for themselves. A New Start - Pregnant Emily is soon invited to a prestigious lunch hosted by local doyenne Caroline Warwick. There she meets Clairmont's rich housewives, but soon discovers that under the veneer of respectability lies shifting loyalties and dangerous secrets. A Troubled Past - When Caroline Warwick disappears, Emily wonders if any of the well-bred Southern ladies in Caroline's circle could have wanted her harmed. What was the hold that Caroline had over them and what was Caroline herself trying to hide? As Emily begins to search for clues about Caroline's disappearance, secrets from her own troubled past start to come to light. Have her problems followed her to Clairmont, or is there something more sinister going on closer to home? Lie Still is by Julia Heaberlin and is due to be published in August 2013. Josephine Tey is brought face to face with her own ghosts when she inherits a remote Suffolk cottage from her godmother, the actress Hester Larkspur. Red Barn Cottage stands close to the site of one of England's most notorious nineteenth century murders, and holds a time-capsule of secrets that Josephine must unravel to solve the mysteries of Hester's life - and her death. As she gets closer to the truth, Josephine is horrified to realise that the cottage has the power to destroy the peace of a village still stained by the shame of its past. Moving between Suffolk, London and Inverness, between the popular world of melodrama and the painful crimes at its heart, "The Death of Lucy Kyte" is both an intriguing insight into the dilemmas of Tey's personal life and a disturbing story of obsession, abuse and deceit.' The Death of Lucy Kyte is by Nicola Upson and is due to be published in August 2013. 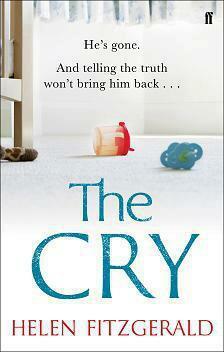 The Cry is by Helen Fitzgerald and is due to be published in September 2013. He’s gone and telling the truth won’t bring him back…… 'Someone's stolen my baby!' When Joanna shouts for help on a lonely roadside in Australia, it sets off a police investigation that will become a media sensation and dinner-table talk across the world. The search for baby Noah takes on a life of its own as rumours begin to circulate online and it turns out everyone has something to hide. Guilt eats away at Joanna's sanity and she and her partner slowly turn against each other. Finally Joanna starts thinking the unthinkable: could the truth be even more terrible than she suspected? And will it take another death to finally make things right? Dead Line is by Chris Ewan and is due to be published in August 2013.And just as your plan is developing, so you're evolving, too. You're changing in ways you never would have thought possible before. But that's acceptable to you. You're prepared to do whatever it takes...Why? Because you're the specialist. And that's how you're going to succeed. What do you do if your fiancee goes missing, presumed taken? If you're Daniel Trent, a highly-trained specialist in hostage negotiation, the answer is simple: You find out who took her and you make them talk. But what if your chief suspect is kidnapped? How do you get him back quickly - and alive? Set in Marseille, "Dead Line" is a fast-paced thriller that pitches the reader into Daniel's world, as he tries desperately to secure the release of Jerome Moreau from a ruthless gang in order to interrogate him on the whereabouts of his fiancee. When things don't go according to plan however, Daniel must use all his skills and instincts to find the answers he's looking for, but will he be in time? North East India, 1923. On the broiling Night Mail from Calcutta to Jamalpur, a man is shot dead in a first class compartment. Detective Inspector Jim Stringer was sleeping in the next compartment along. Was he the intended target? Jim should have known that his secondment to the East Indian Railway, with a roving brief to inspect security arrangements, would not be the working holiday he had hoped for. The country seethes with political and racial tension. Aside from the Jamalpur shooting, someone is placing venomous snakes - including giant king cobras - in the first class compartments of the railway. Jim also has worries on the home front: his daughter has formed a connection with a Maharajah's son, who may in turn have a connection to Jim's incredibly rude colleague, the bristling Major Fisher. Jim must do everything he can to keep his family safe from harm, as he unravels the intrigues that surround him... Night Train to Jamalpur is by Andrew Martin and is due to be published in September 2013. Blue is the Night is by Eoin McNamee and is due to be published in October 2013. 1949. Lance Curran is set to prosecute a young man for a brutal murder, in the 'Robert the Painter' case, one which threatens to tear society apart. In the searing July heat, corruption and justice vie as Harry Ferguson, Judge Curran's fixer, contemplates the souls of men adrift, and his own fall from grace with the beautiful and wilful Patricia. Within three years, Curran will be a judge, his nineteen year old daughter dead, at the hands of a still unknown murderer, and his wife Doris condemned to an asylum for the rest of her days. In "Blue Is the Night", it is Doris who finally emerges from the fog of deceit and blame to cast new light into the murder of her daughter - as McNamee once again explores and dramatizes a notorious and nefarious case. If You Were Here is by Alafair Burke and is due to be published in September 2013. When McKenna Jordan, a magazine journalist investigating the story of the heroic and unidentified woman, finds the video footage, she thinks she recognizes her as Susan Hauptmann. But Susan disappeared without a trace ten years earlier, having just introduced McKenna to her future husband, Patrick. McKenna's complex search for her missing friend forces her to unearth secrets that lie deep in all their pasts. A sublimely plotted mystery and a devastating thriller about marriage, private security and journalistic scandal. In the comfortable suburb where she lives, Heloise is just a mom, the youngish widow with a forgettable job who somehow never misses her son's soccer games or school plays. But in discrete hotel rooms throughout the area, she's the woman of your dreams - if you can afford her hourly fee. For more than a decade, Heloise has believed her unorthodox life to be a safe one; rigidly compartmentalized, maintaining no real friendships and trusting very few people. But now this secret life is under siege. Her once oblivious accountant is asking loaded questions about her business. Her longtime protector is hinting at new, mysterious dangers. Her employees can no longer be trusted. Her ex, the one who doesn't know he's the father of her son, is appealing his life sentence. And, one county over, another so-called 'suburban madam' has been found dead in her car, an apparent suicide...Can Heloise stay alive long enough to remake her life again, and save her son? Can she really expect to leave everything else behind? 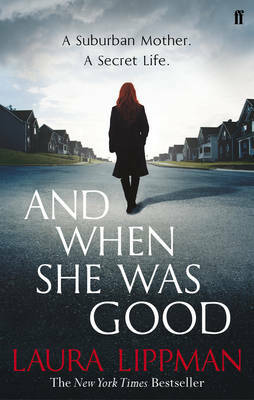 And When She Was Good is by Laura Lippman and is due to be published in June 2013. After three years in the wilderness, hardboiled reporter Gerry Conway is back at his desk at the Glasgow Tribune. But three years is a long time on newspapers and things have changed - readers are dwindling, budgets are tightening, and the Trib's once rigorous standards are slipping. Once the paper's star reporter, Conway now plays second fiddle to his former protege, crime reporter Martin Moir. But when Moir goes AWOL as a big story breaks, Conway is dispatched to cover a gangland shooting. And when Moir's body turns up in a flooded quarry, Conway is drawn deeper into the city's criminal underworld as he looks for the truth about his colleague's death. Braving the hostility of gangsters, ambitious politicians and his own newspaper bosses, Conway discovers he still has what it takes to break a big story. But this is a story not everyone wants to hear as the city prepares to host the Commonwealth Games and the country gears up for a make-or-break referendum on independence. In this, the second book in the Conway Trilogy, Liam McIlvanney explores the murky interface of crime and politics in the New Scotland. Where the Dead Men Go is due to be published in September 2013. A reformed Sicilian criminal, Carmelo Trapani, has been kidnapped and his search for the the aged Carmello leads Staffe all the way back to a terrible act at the Battle of Cable Street. Meanwhile, Staffe's own loyal servant,, DS Pulford, is in Pentonville awaiting trial for the murder of Jadus Golding, the very man who attempted to murder Staffe, leaving wounds from which Staffe is still recovering and it suits some in the heirarchy to see Pulford go down. Can Staffe save Carmelo without leaving Pulford to the political vultures? As he battles find the man who murdered his own assailant, pressures also mount from within and Staffe's heart falters - in every way. His job is on the line and when he least expects it, his own past puts a gun to his head. Hailed as 'London's answer to The Wire', "Kill And Tell" takes the "Staffe" series up a notch and into the very highest echelon of contemporary crime writing. Kill and Tell is by Adam Creed and is due to be published in October 2013. Limehouse, 1880: Dancing girls are going missing from 'Paradise' - the criminal manor with ruthless efficiency by the ferocious Lady Ginger. Seventeen-year-old music hall seamstress Kitty Peck finds herself reluctantly drawn into a web of blackmail, depravity and murder when The Lady devises a singular scheme to discover the truth. But as Kitty's scandalous and terrifying act becomes the talk of London, she finds herself facing someone even more deadly and horrifying than The Lady. Bold, impetuous and blessed with more brains than she cares to admit, it soon becomes apparent that it's up to the unlikely team of Kitty and her stagehand friend, Lucca, to unravel the truth and ensure that more girls do not meet with a similar fate. But are Kitty's courage and common sense and Lucca's book learning a match for the monster in the shadows? Their investigations take them from the gin-fuelled halls and doss houses of the East End to the champagne-fuelled galleries of the West End. Take nothing at face value: Kitty is about to step out on a path of discovery that changes everything... Kitty Peck and the Music Hall Murders is by Kate Griffin and is due to be published in July 2013.